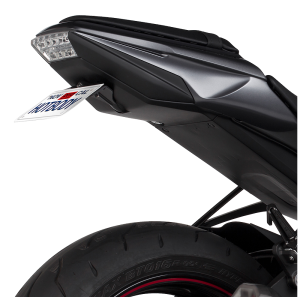 Are you looking for more ground clearance for a steeper lean angle? 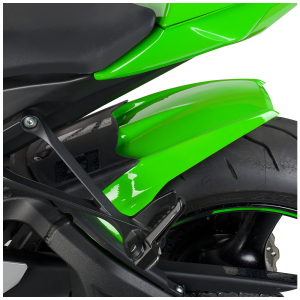 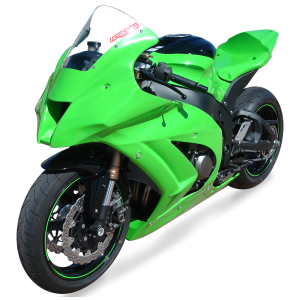 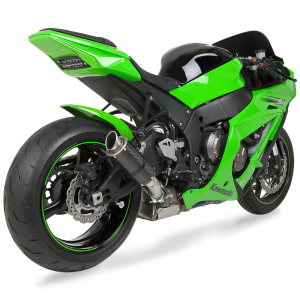 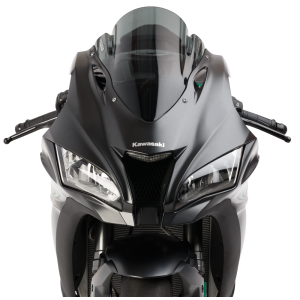 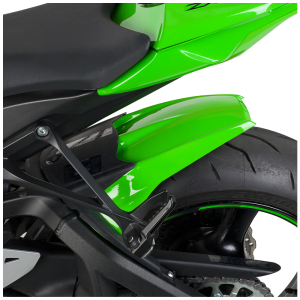 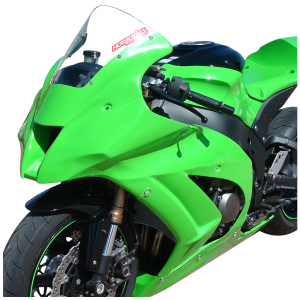 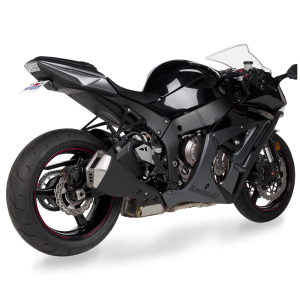 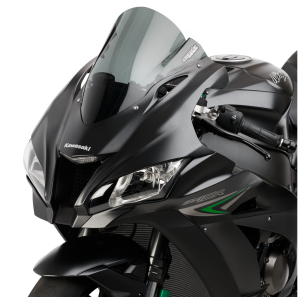 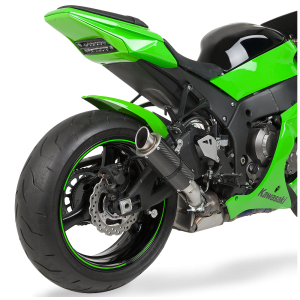 Want to customize your 2011-15 ZX10R for more comfort on the street? 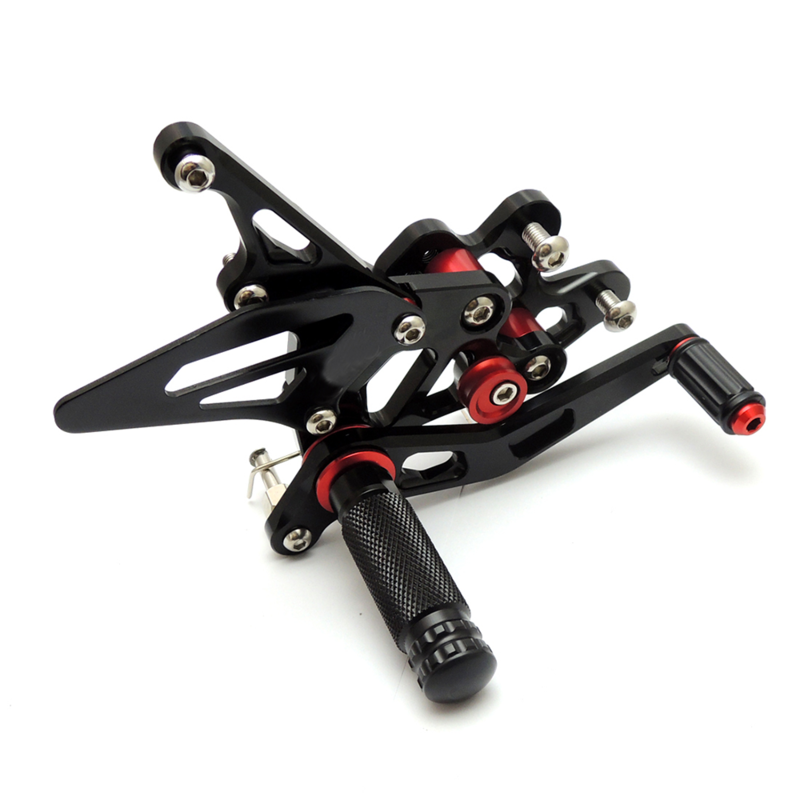 Or just looking for some ultra trick rears sets to set your bike apart at the next bike night? 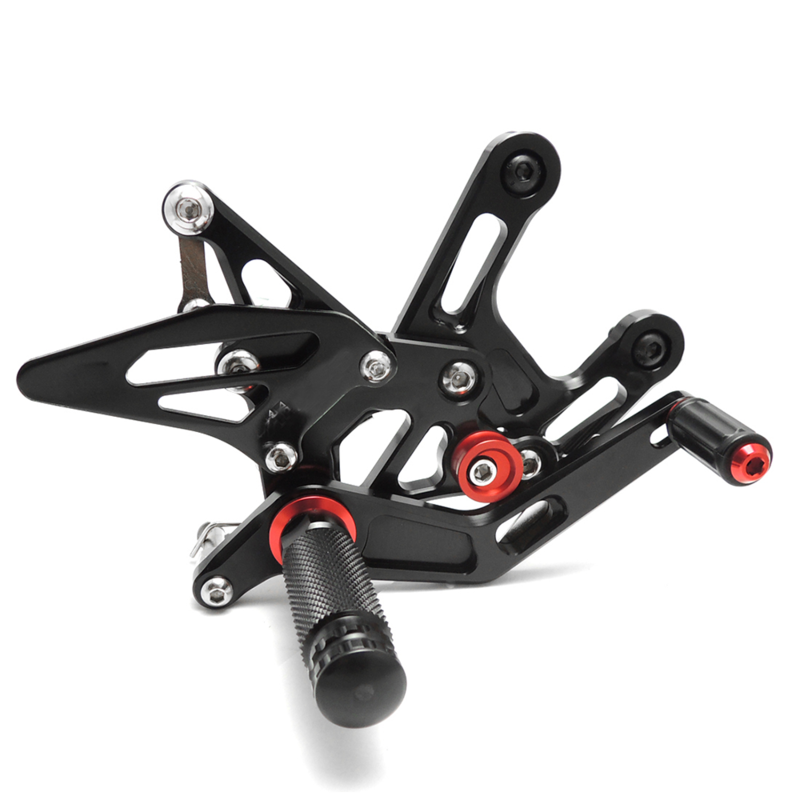 Our NEW MGP fully adjustable Rear Sets enable you to customize your riding position in terms of height and longitudinal position, so as to perfect your connection to the bike. 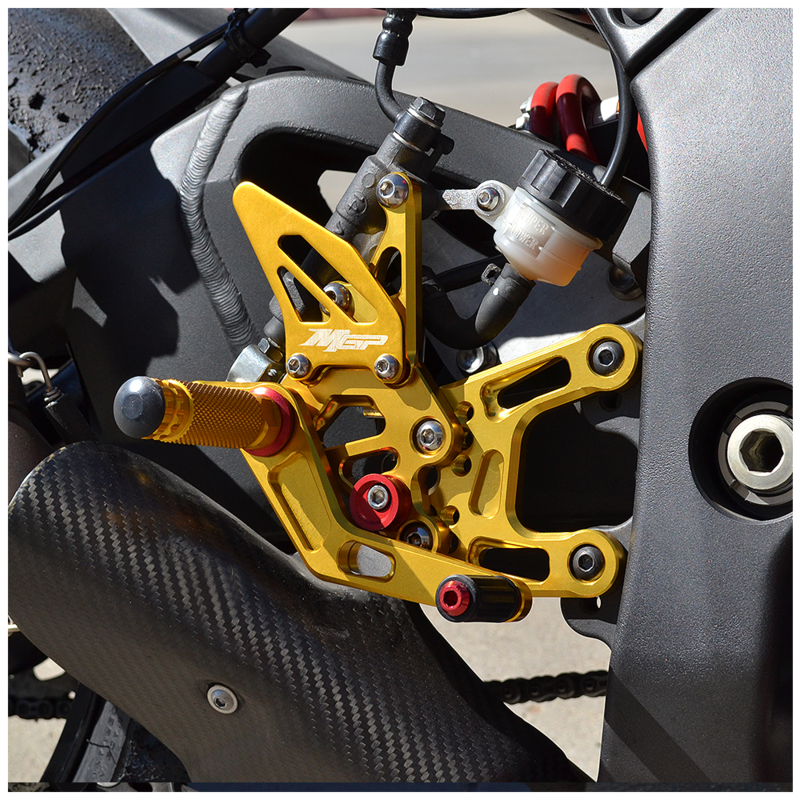 All MGP rear sets are CNC machined from aircraft grade T6 6061 Billet aluminum and electroplated with a durable finish. 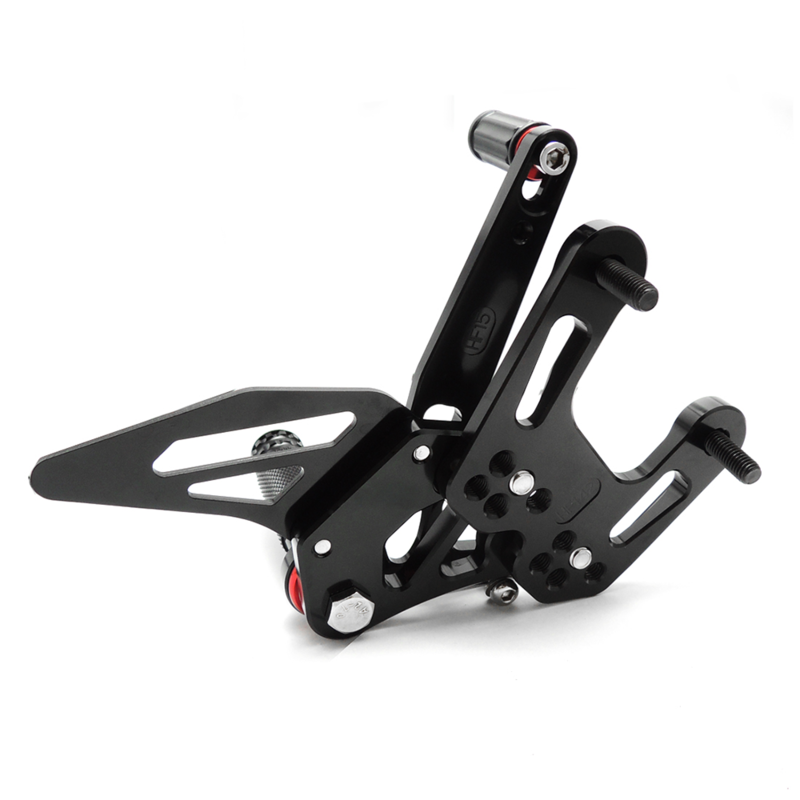 They come pre-assembled and use bearings to eliminate friction on the foot lever. 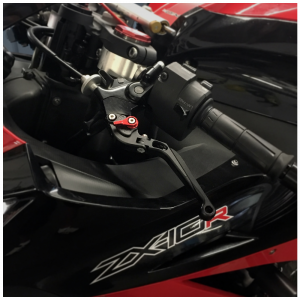 They feature a spring-loaded rear brake lever return and include a bracket for the brake light switch so they can be used for the track and for the street. 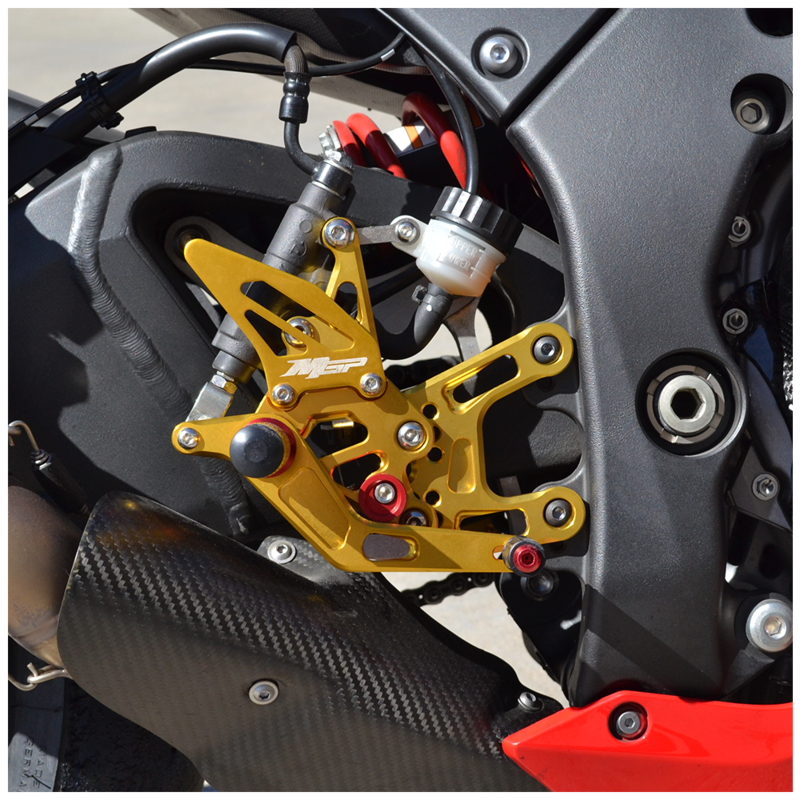 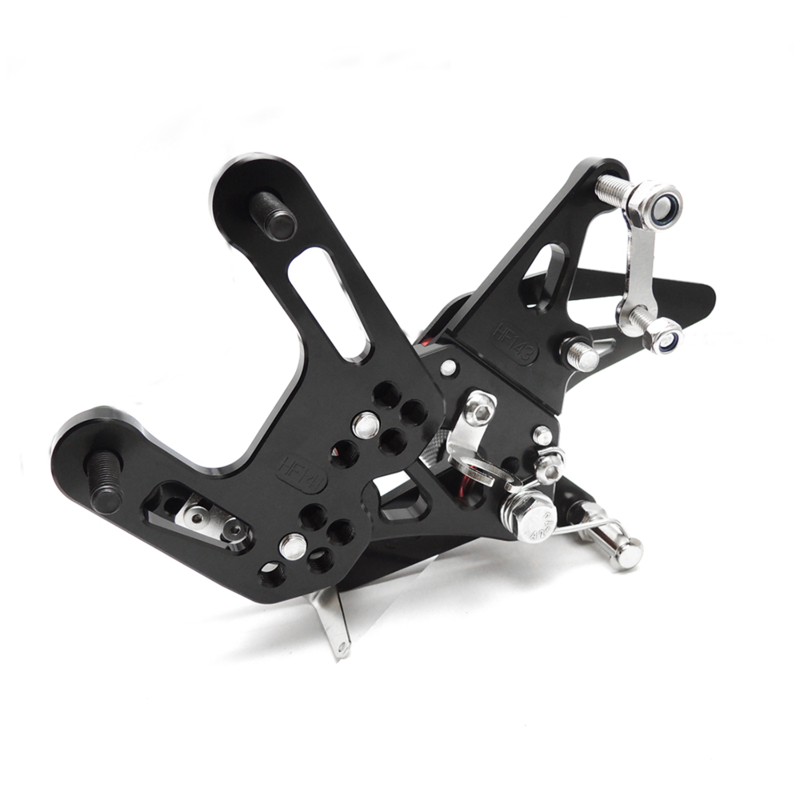 The rear sets feature adjustable foot peg placement, with selections to move them forward or back, or higher or lower. 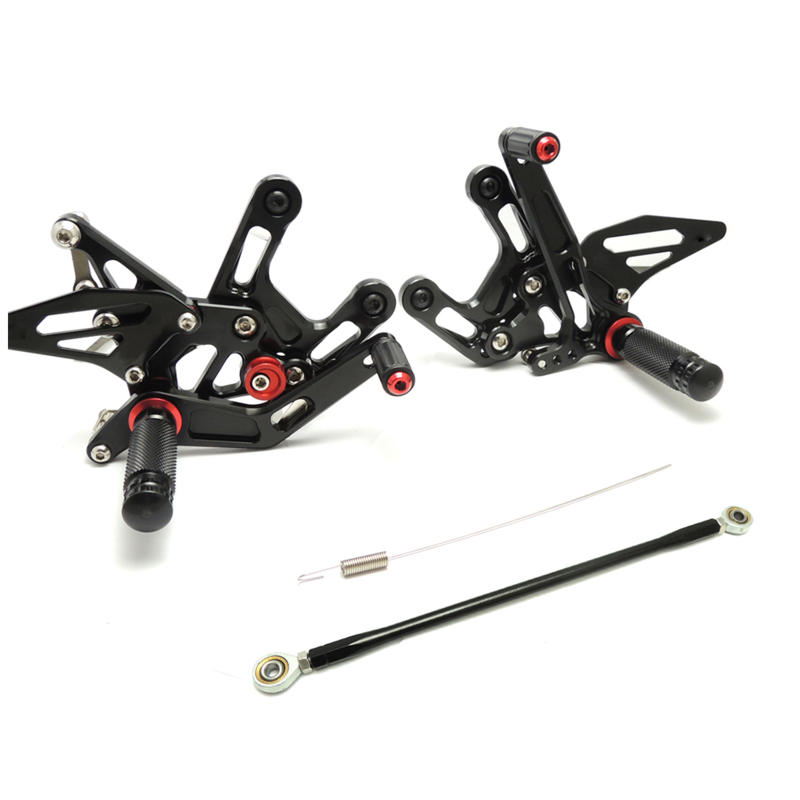 The rear set kit consists of the rear set plates, foot pegs, heel guards and all of the needed hardware (shift rods, etc) to install. 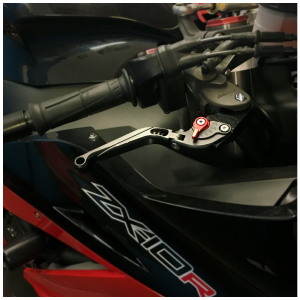 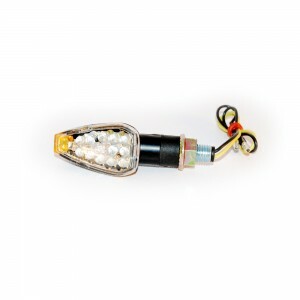 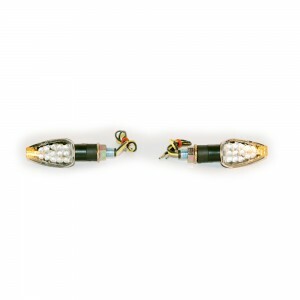 *Always use locktight when assembling on your motorcycle to prevent coming loose while riding. 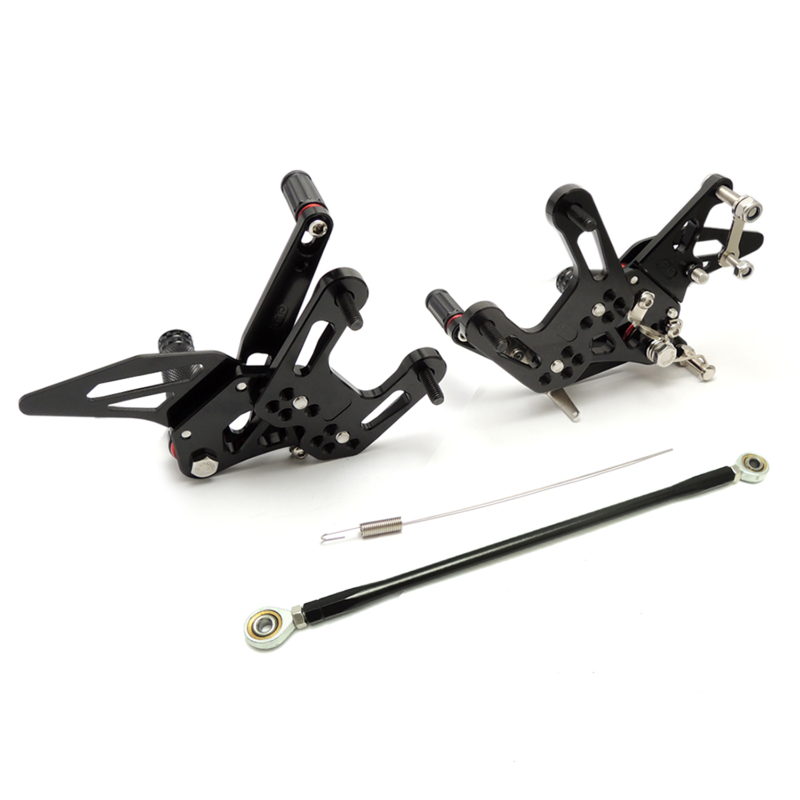 **ABS Models may require customer to modify or purchase longer brake line to fit in certain positions.